In a pan add the ghee and semolina. 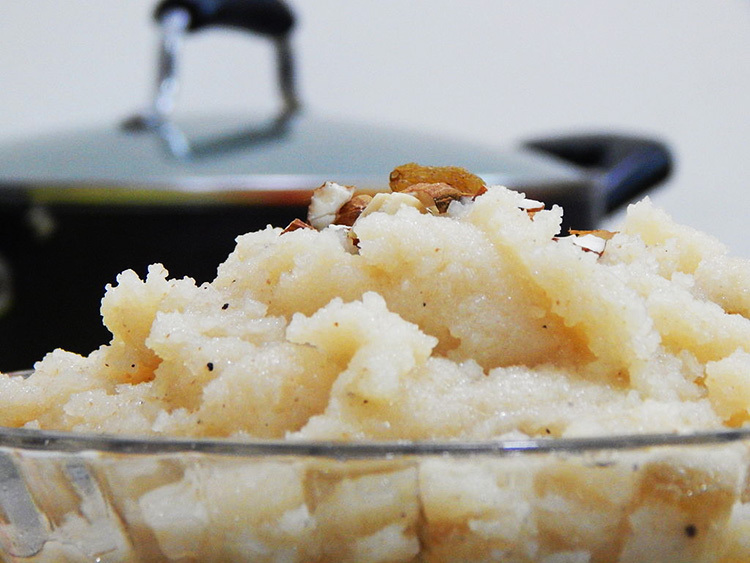 Stir continuously till the semolina turns brownish in colour and releases a nice aroma. Then add in the milk and let it simmer. The mixture will absorb all the milk and become thick as it cooks. Be sure to mix continuously. Once thick, add in the sugar and bananas. Mix the bananas in well with the semolina. Cook only for few minutes after adding the sugar and banana and then serve hot. Can be garnished with dried fruits and nuts.